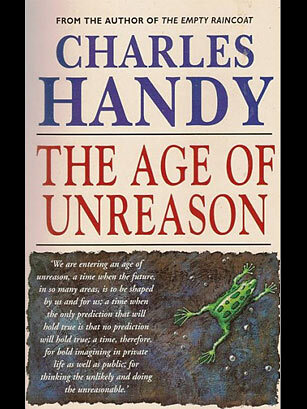 Handy's 1989 book made a powerful case for what might then have been called, without irony, outside-the-box business thinking. Handy, then a visiting professor at the London Business School, described dramatic social changes going on in everyday life and in the workplace. New technologies and the decrease of full-time positions, among other transformations, requires abandoning the established rules and experimenting with new ways of working with one another. Handy's book only grew in stature in the decades after its publication as the rise of the Internet, ubiquitous communication, increased outsourcing, and the explosion of social media proved his vision to be amazingly prescient.